These two images demonstrate the dramatic changes that have occurred during a fifty year period along the floodplain of South Boulder Creek. 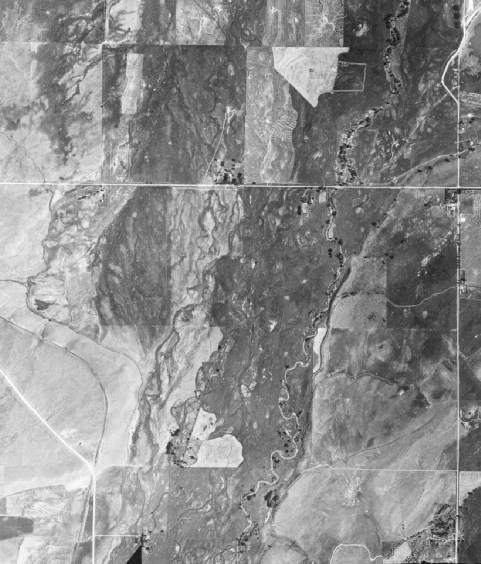 The first, taken by in July of 1937 by US Forest Service aerial survey crews, shows South Boulder Road cutting across the upper third of the photograph and Cherryvale Road on the right edge of the image. Some agriculture is evident in the broad floodplain, but little housing. 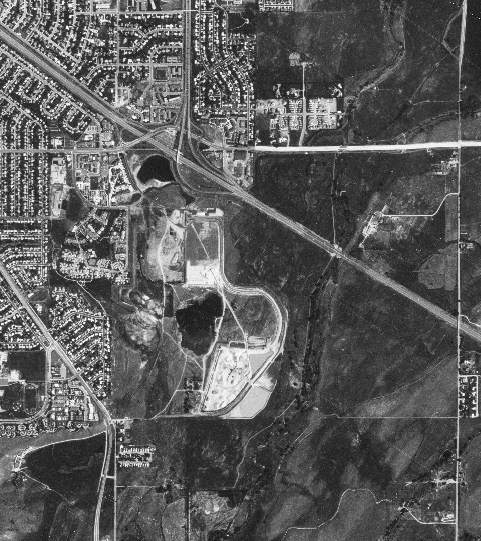 The image on the right was taken by a Soviet spy satelite in July of 1987 from an altitude of over 200 km., shows U.S. 36 running diagonally through the image.